The statewide outbreak of hepatitis A, which began late last year, continues to grow. Twelve Lexington residents are now among the over 1,600 Kentuckians who have been affected by the disease, which normally strikes less than two dozen Kentuckians per year. Poor hygiene, inadequate handwashing, and illicit substance use are driving this outbreak, which is primarily spreading person-to-person, instead of from a single contaminated food or water source. Over half of all statewide cases have been hospitalized and thirteen outbreak-related deaths have been reported in the state. Recent vaccination efforts have been focused on vaccinating high-risk populations, such as those with substance use disorder and those who are homeless. However, over 20% of those affected have had no known risk factor for disease. 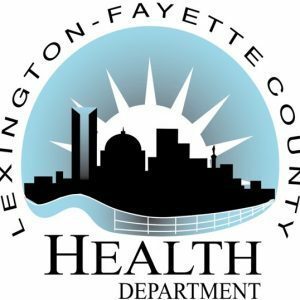 In order to control further spread of hepatitis A in the community, the Lexington-Fayette County Health Department is now recommending that all persons in the county be vaccinated against hepatitis A. Anyone who has not previously received the vaccine series or has not had the disease should seek immunization. Hepatitis A vaccine, or combination vaccines that contain it, such as Twinrix® , are readily available and covered by most health insurers, including Medicaid. Fortunately, most children have already received hepatitis A vaccine or are receiving the series now due to new requirements for school and child care attendance. However, many adults lack protection because the vaccine was not given as part of their routine childhood vaccination series. The outbreak can only be contained when enough of the community is immune to the disease. Please encourage your patients to be vaccinated against hepatitis A, in your office setting, at their pharmacy, or at other locations. For the uninsured who are at high risk, limited appointments for vaccination can be made at the health department by calling 859-288-2483. Thank you for your efforts and assistance in mitigating this outbreak. For more information about hepatitis A or hepatitis A vaccine, call us at 859-288-2437 or visit www.lexingtonhealthdepartment.org/hepatitisA.